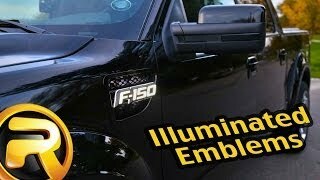 The Recon illuminated emblems are a great addition to your Ford truck. 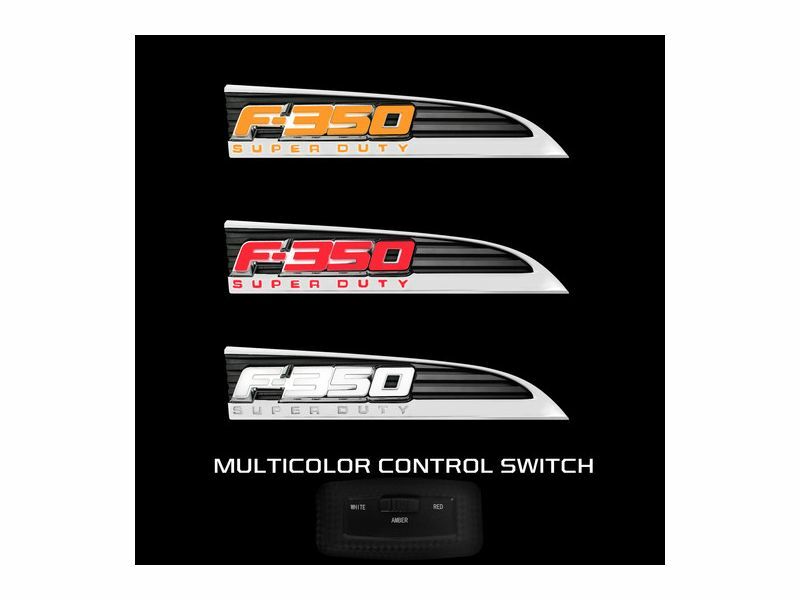 It's available for the Ford F150, F150 Raptor and Ford Superduty F250 & F350. Replaces your dull factory emblem and brings a brighter, cooler look to your truck. Emblem finishes include chrome or black with white, amber or red illumination. Black is great if you are going for the black out "murdered" truck look. Chrome is great to match your OE chrome. The Recon illuminated emblems are easy to install and come with all the needed equipment, such as hardware and wiring. To make sure this will work properly. Wire it to your running light or connect it to any 12V power source. Each kit comes with a set of 2 fender emblems, one for the driver's side and one for the passenger side. All Recon lighting items are warranted by the manufacturer for a period of 90 days after the purchase date. All warranty claims must be accompanied by a proof of purchase. 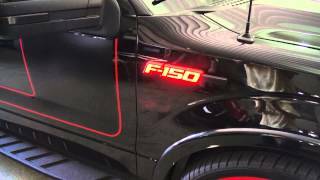 The Recon illuminated emblems by Recon Accessories can be wired into your running lights or any 12volt power source. Wiring is included with the kit. For additional information see the installation instructions below or call us at 1-877-216-5446 or 701-253-5906.